Snap Session: Be a Sigma Volunteer! 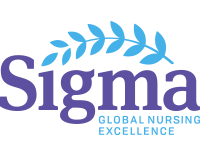 Take a tour of the volunteer system available to Sigma members and learn about the many opportunities available to you to serve! Snap Session webcasts are usually 30 minutes or less. Register below! Janell Jackson is the member and volunteer specialist at Sigma, and has been with the organization for 17 years! In her role, Janell manages the volunteer opportunities available through The Circle, and is the point of contact for event volunteers at Sigma events such as Congress and Convention.